Today was the day for which many people in Shanghai were waiting for. 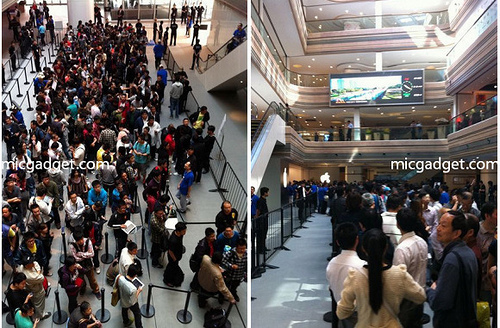 Today finally Apple opened their biggest Apple Store in Shanghai,China. The store was behind the curtains for past few weeks and it was expected that Apple will open the store some time soon. You can imagine how happy are the employees of Apple Store after having official Apple Store in their place. This happiness brought up 500 people on the opening of the Apple Store and 300 Apple Employees were there to attend the 500 customers. That’s really amazing. 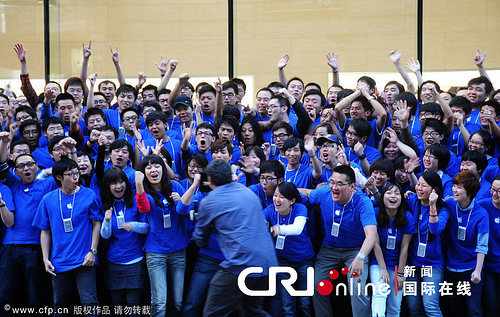 The people in Blue are the Employees of Apple and are waiting for the crowd of 500 people to enter Apple Store and make some purchases. So finally after some time the crows started to enter the store. Like ever Apple Store opening, the employees and people are very excited. The Biggest Apple Store is located at Nanjing Road,Shanghai,China. 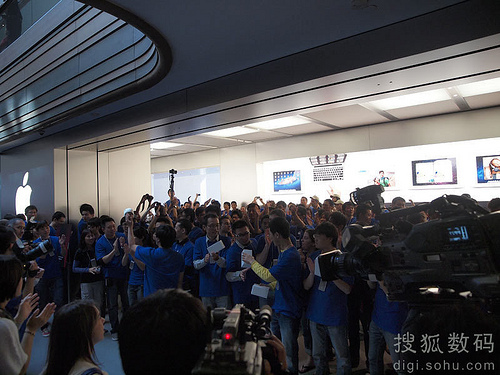 People over micgadget got a full gallery of the opening of Apple Store. Now people in China got the official Apple Store. Now they can get rid off the fake Apple Stores which are still in China with different names. Apple is also expected to open more retail stores in five different paces on Saturday.